Welcome to Sumiyoshi. 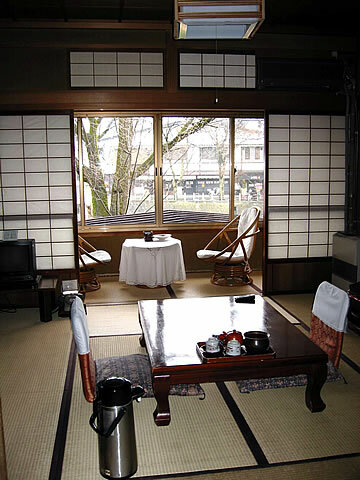 This Traditional Ryokan is typical of Takayama's famous architectural design, and it was built in the early 20th century. 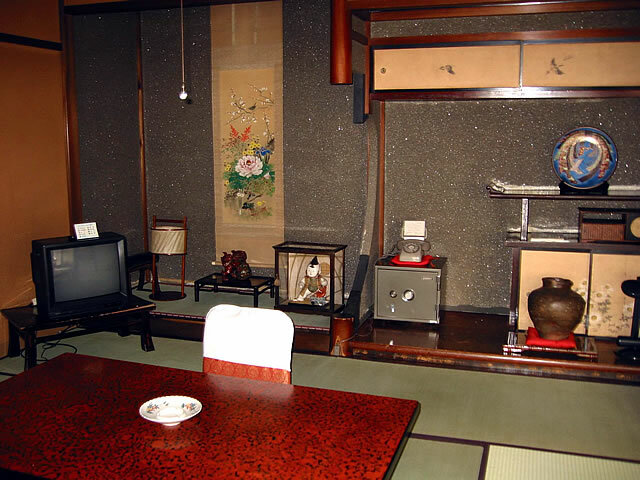 Indeed, the owners have kept the same design and style throughout the 20th century at Sumiyoshi. 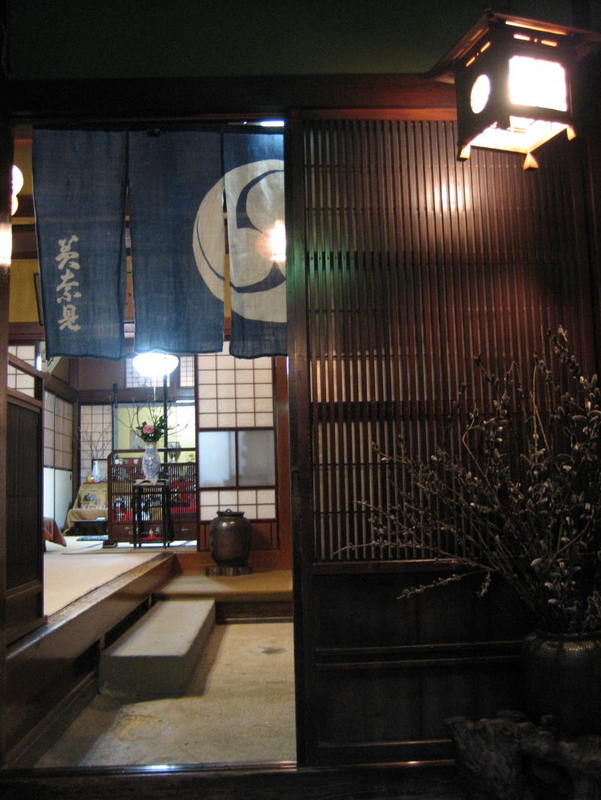 In the lobby, a suit of samurai armour greets the guests and there is also an open hearth from Japan's samurai era. Staying at Sumiyoshi is like staying in a museum. 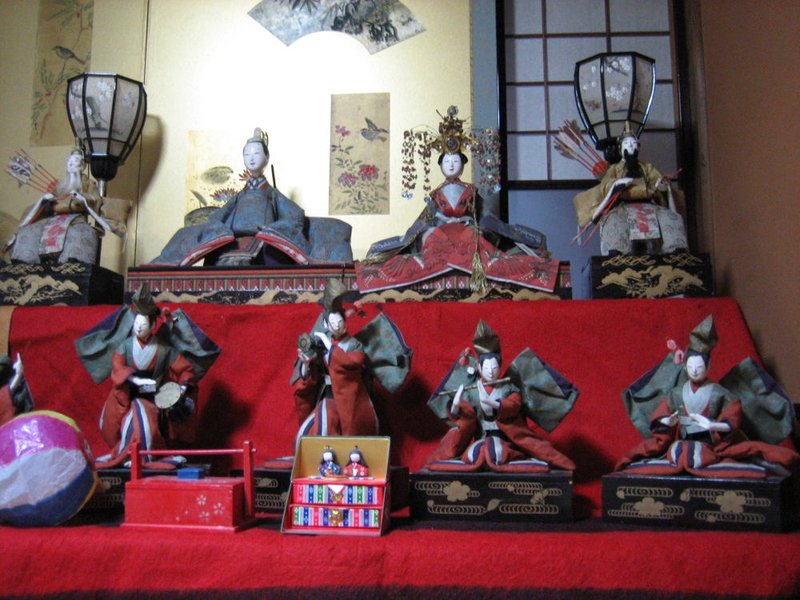 Sumiyoshi is filled to the brim with artifacts, nick-nacks, and furniture dating back many, many years. 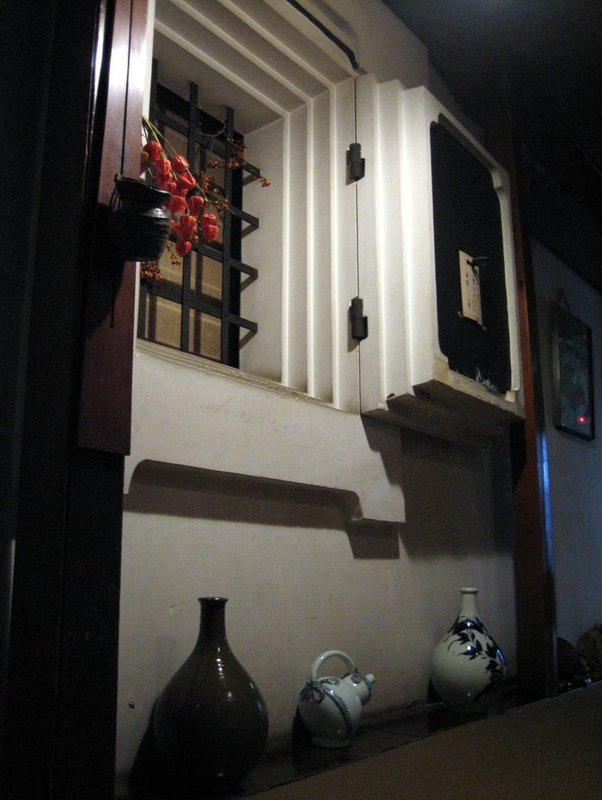 If you are looking for a historical Japanese atmosphere, then you will enjoy your stay at Sumiyoshi. 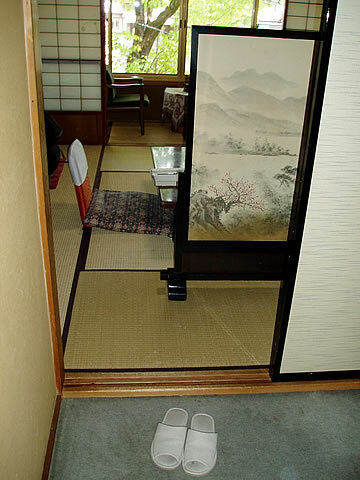 There are 20 traditional Japanese-style guest rooms, and the rooms offer either a river view or a view of Sumiyoshi's garden. 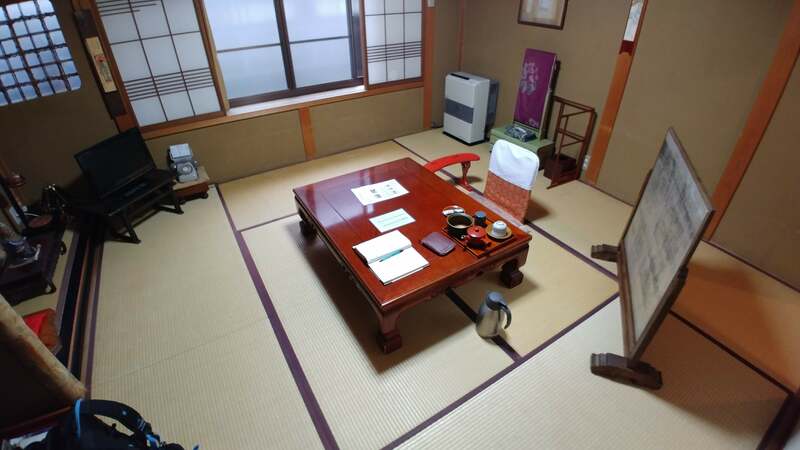 This is an old fashioned traditional ryokan and only one guest room has a private bath and toilet - the other 19 guest rooms do not have private baths or toilets. 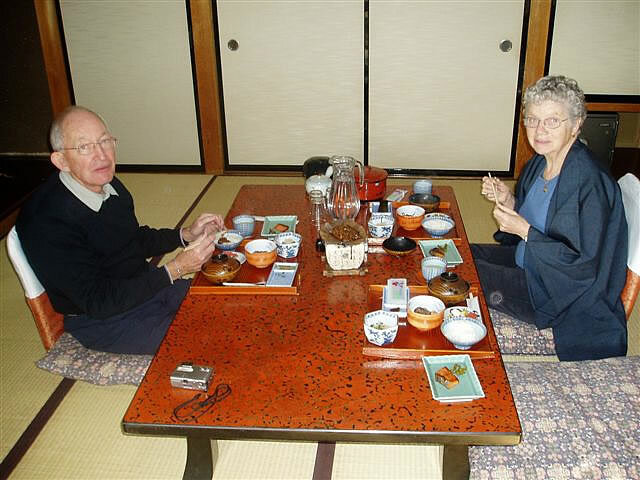 The owners are very proud of the high quality of their cuisine, and guests can enjoy typical Takayama-style dishes. 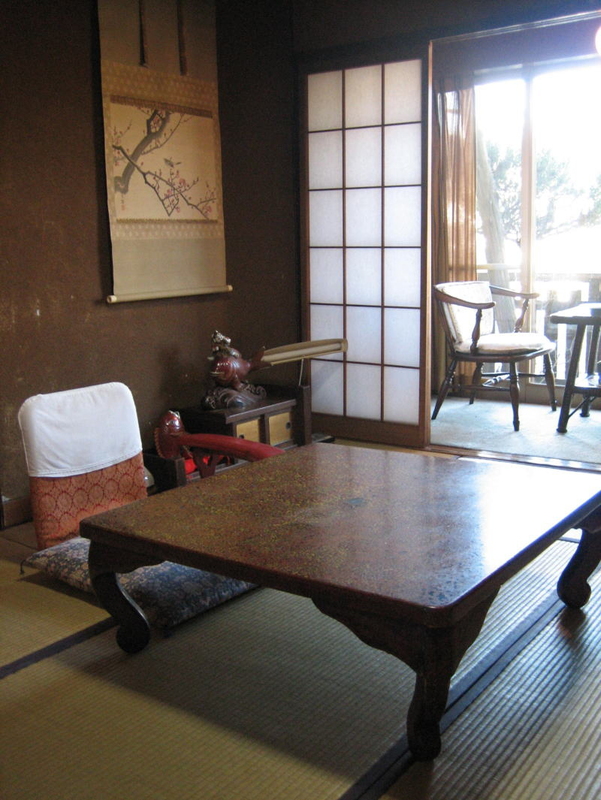 Staying in the old family home of the proprietors added to the autenticity of this ryokan. Food was so interesting and well-prepared. The rushing waters of the river outside our window soothed us in sleep. The ryokan onsen was delightful. A truly worthwhile experience !! We made the mistake of only booking 2 nights. More time needed to enjoy Sumiyoshi and Takayama. Great hosts. Lots of fun. 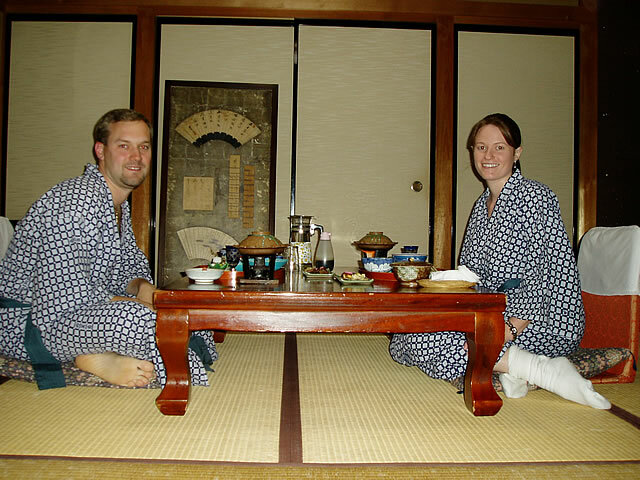 Recomiendo absolutamente todo de este ryokan: la cena, el desayuno, el onsen público (que puedes usar privado), el personal que lo lleva, la localización... De las mejores estancias en nuestro viaje. Repetiríamos sin dudarlo. My elderly mother and I had a wonderful one night stay here. The hostess was spectacularly friendly and helpful - the "perfect grandma" described in an earlier review is spot on. The food was delicious.The ambiance was exactly what we wanted. The view was spectacular. The sound of the river rushing past was a great way to fall asleep. The touristy streets in Takayama are a three minute walk away. The train and bus station is ten minutes. I can't recommend this place enough. So you know, we spent significantly more for a similar experience in Kyoto and Sumiyoshi beat that hands down. Amazing place, full of character and history. I stayed at Sumiyoshi for (unfortunately) one night. 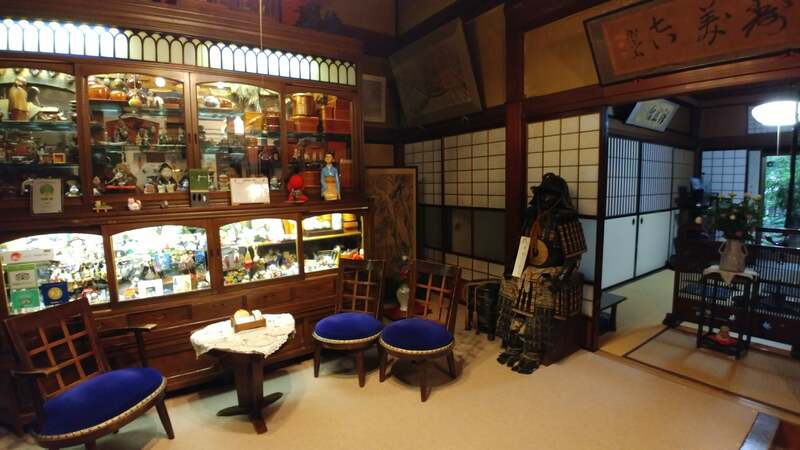 The place is an oasis in the middle of the busy streets of Takayama, and a perfect base of operations for any cultural or shopping endeavours you may have in mind. Sitting just by the river, you are within walking distance of everything, but it is the charm of the place that will win you over, along with the hospitality of the owners, and the really awesome food you will be served. Prepare to go back to a better past. 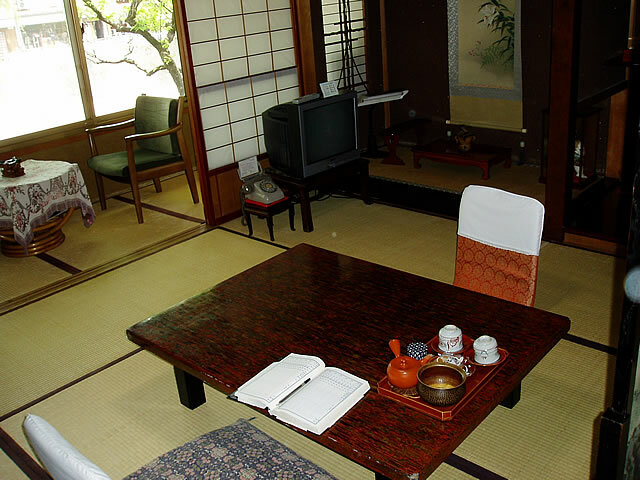 Sumiyoshi is a great ryokan to stay in. 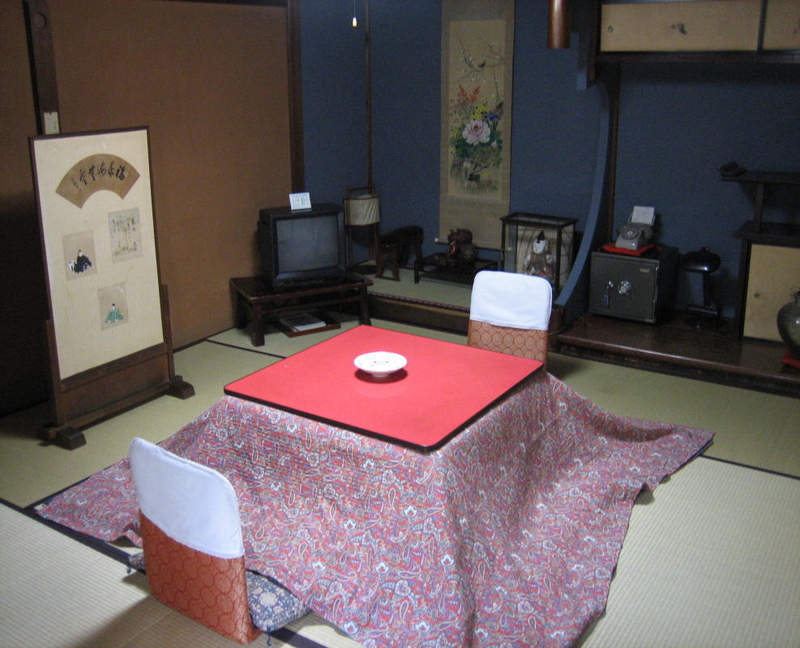 Its very cosy and is very decorated in Japanese items. 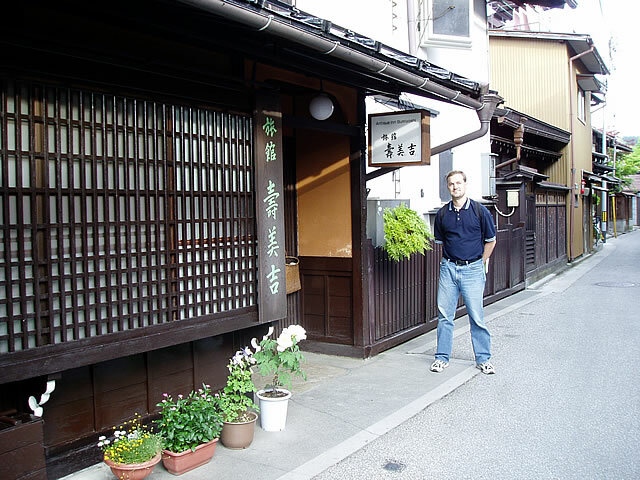 I spoke with a local in Takayama and he reckons it is the best ryokan in the neighbourhood. For this stay, I did not order any meals so I was very surprised when I received a drink upon my welcome, and a small plate of fruit and coffee in the morning. There are two baths available on the floor I was in so I did not need to wait at all. The staff were very friendly and very quick with setting up my room for the evening and the morning. Depending on the room you select, the road side does not have much of a view but because Sumiyoshi is located on a very small street, there's barely any traffic noises. Sumiyoshi is also located centrally so its a bit of a walk from the station but close to everything else in the town. I would definitely come back to Takayama again and stay in the same ryokan. We only stayed at Sumiyoshi for one night, but if knowing how nice the place was, we would have stayed for longer. It was the nicest Ryokan we stayed in our 2 week trip in Japan. Everything was fantastic, and the staff is lovely. 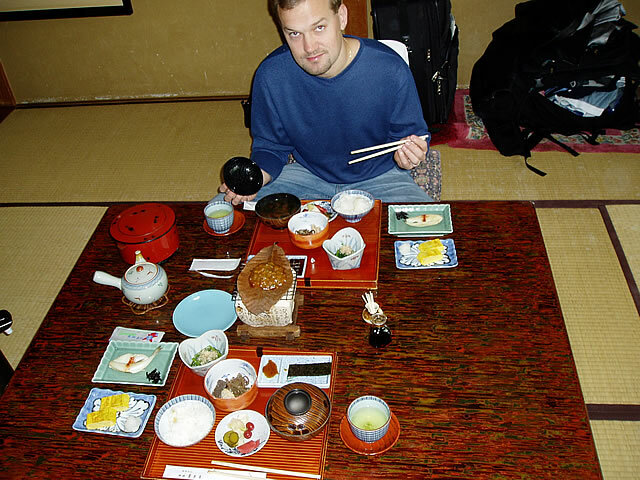 We chose the traditional Japanese dinner and Breakfast and we enjoyed huge meals with loads of small dishes. 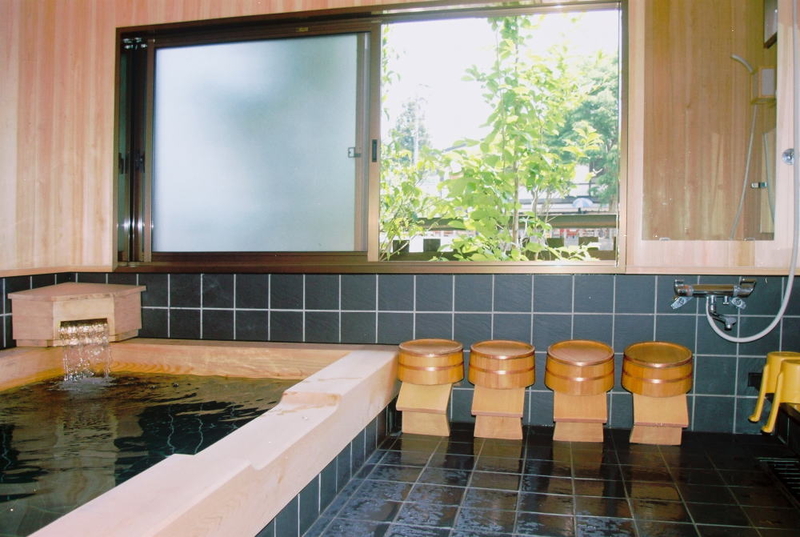 We were lucky enough to find the big Onsen available just the moment we could use it, so everything was perfect. This is a lovely old house, decorated with many personal antiques, located along the river, very central to the old quarter of Hida-Takayama. The dinner, served in the room, was copious and delicious. We also enjoyed the furo. But what made this stay really special was the warmth of the owners. They spoke fine English, and could not have made us feel more welcome. They were helpful in every way. I stayed at Sumiyoshi for two nights at the end of my trip to Japan. It was a lovely experience. 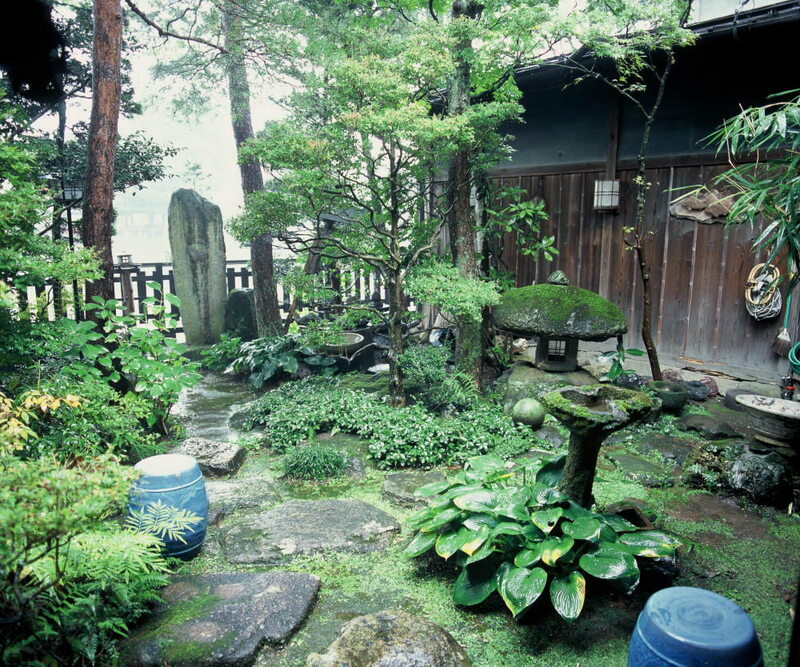 The ryokan is on a small side street that is very quiet. It is about a 10-15 minute walk from the train station, mostly under sidewalks with covered canopies. 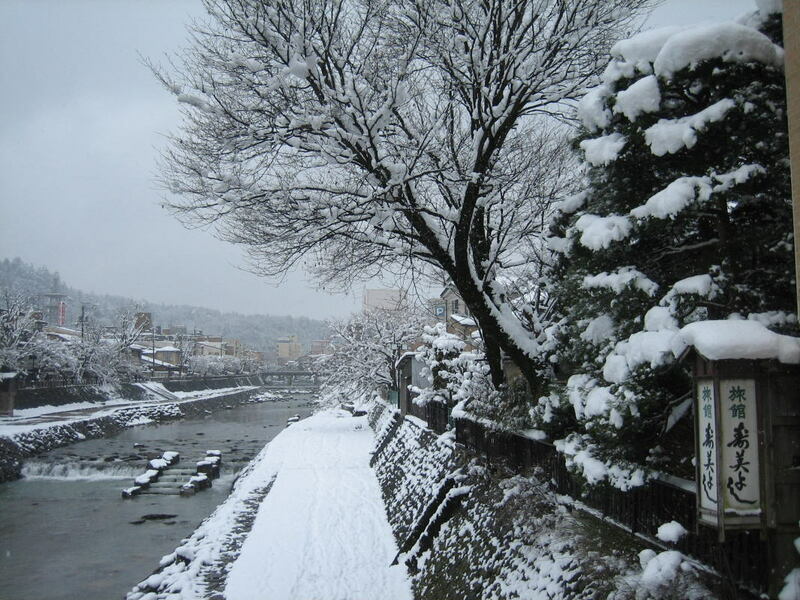 At the intersection of the sidestreet where the ryokan is with a larger street that crosses the river, there is a clear, good-sized sign. There were only two small negatives: only communal baths and the fact that the hosts' English was not good. These negatives were greatly outweighed by the simple beauty of my room and the friendliness and willingness to communicate of the hosts and staff. The baths (separate toilet room and bath/shower/sink rooms) were always very clean and in good order. I also must say that the breakfasts and dinners I had were the best meals of my two weeks in the country. We had a lovely time staying at this sweet, cosy Ryokan for two nights. The food was delicious and the staff were completely charming - despite us not being able to communicate very well in each other's language! 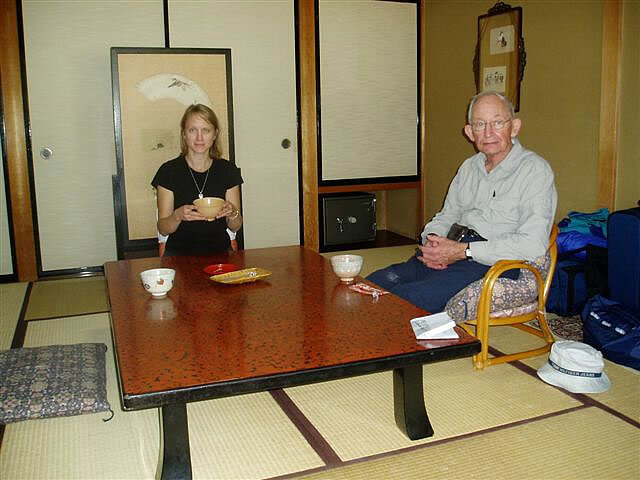 I would really recommend staying here for a great experience of Japanese hospitality, and amazing home-cooked food. Room was very good, diner and breakfast on our room fantastic, the Ryokan run by a lovely japanese couple. The service was excellent. Unforgetable. Charmante auberge de style traditionnel tenue par des personnes assez âgées et très accueillantes : l'hospitalité incarnée. Modèle du genre, la maison vaut pour elle-même le séjour car elle parvient à conserver son esprit antique tout en offrant un confort appréciable avec ses salles de bains privatisables. La cuisine servie aux pensionnaires est à l'image de l'établissement : généreuse et représentativité d'un art de vivre certain et partagé avec passion, à la fois simple et raffiné. Bref, une bonne adresse, sans chichis, mais avec beaucoup de caractère et à taille humaine. 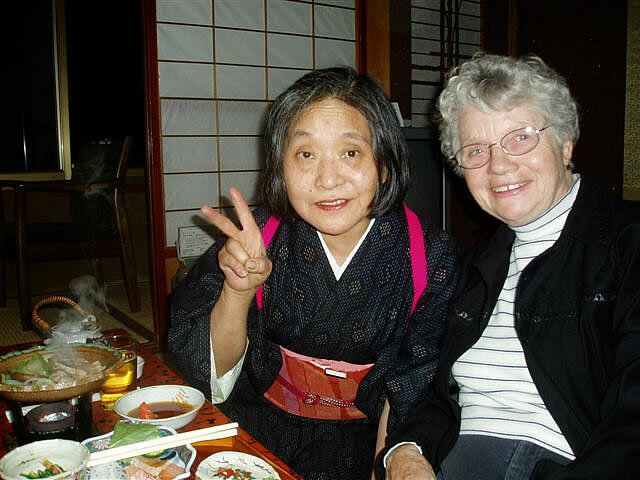 Being guests in the wonderful guesthouse of the good people of Sumiyoshi was one of the high points of our visit to Japan and we recommend it warmly. In fact, fearing the location may be dense and hot in mid-summer months, we had made reservations also at a hill-side hotel. But we decided nevertheless to try our luck at Sumiyoshi and did not regret it. The house - including hall, guest rooms, dining rooms and baths - are exquisite. We felt the pictures here are understated rather than the opposite. A family of four, we got a wonderful two-room setup facing the river and the little garden. As with the other parts of the house we got to see (including the private dining room we were led to for meals) the rooms had fantastic atmosphere with delicate and nicely kept antiques, but without overdoing it towards the quint amid bright and clean tatamis. Just as important, staff is as welcoming as you come to expect in Japan, and quickly shuffled a few sliding doors to include more space (a hallway) in our guest room when they realized the ridiculous amount of luggage we were hauling. Breakfast was good and plentiful - Japanese as well as Western. Can't speak for dinner since we'd reserved a meal plan without it to sample the many great restaurants in town. The host couple also has patience with clumsy Europeans unfamiliar with Japanese ways about the house, and together with a great sense of humor they really contributed greatly to the three unforgettable days we spent in beautiful Takayama. We'll look no further should we have the good fortune to return. We had a very nice stay at Sumiyoshi. really it was the highlight of our trip. The food was great! Staff very friendly and helpful. 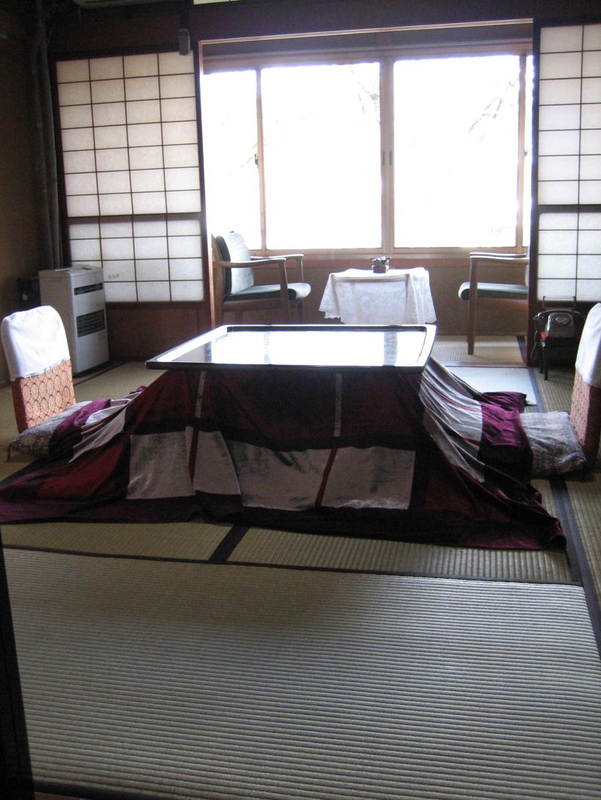 The only drawback was the cigarette smell emanating from one section of the ryokan which unfortunately permeated to our room. Le bâtiment est certes un peu vieillot et la décoration des chambres parfois "kitsch" mais l'ambiance qui se dégage de ce ryokan vaut le détour. Les responsables se mettent en 4 pour vous satisfaire notamment le couples de personnes âgées super sympa même si la communication est parfois difficile. Notre chambre avait vue sur la rivière et était très calme... Les salles de bains typiques disposent de bains chauds type "onsens" privatisables donc sympa lorsqu'on voyage en couple car c'est rarement le cas de pouvoir se délasser dans ces bains chauds homme et femme ensemble au Japon. Les repas sont divins, de type kaseiki avec pleins de petits assortiments ce qui permet de goûter ce que l'on oserait pas commander au restaurant! Petit dejeuner au choix japonais ou continental. Cet hôtel est un pur bonheur pour se ressourcer! We had a fantastic time at the ryokan. 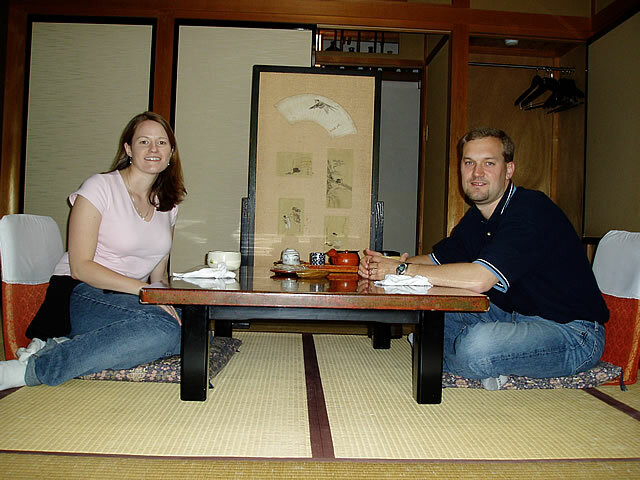 We are a family of 4 with 2 kids and all of us loved our experience at the ryokan. 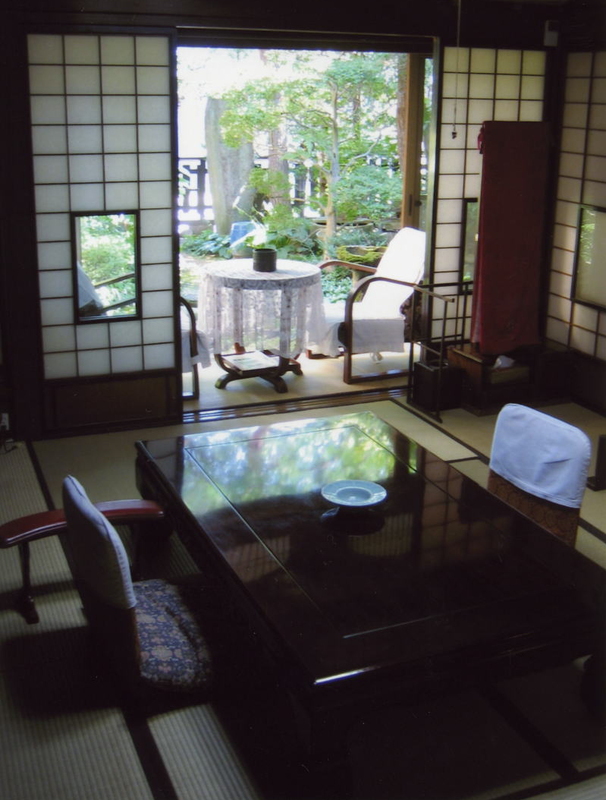 The rooms, the ryokan and its atmosphere were just prefect. 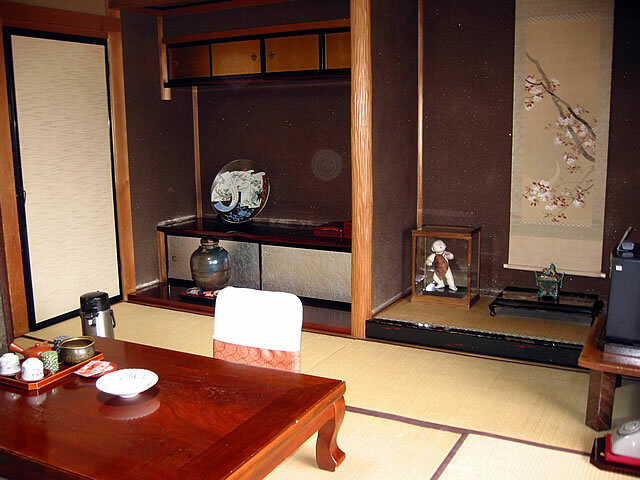 Really well decorated, well equipped and clean, with an amazing traditional Japanese touch! The food was delicious and the ryokan people adapted it specifically for our kids. 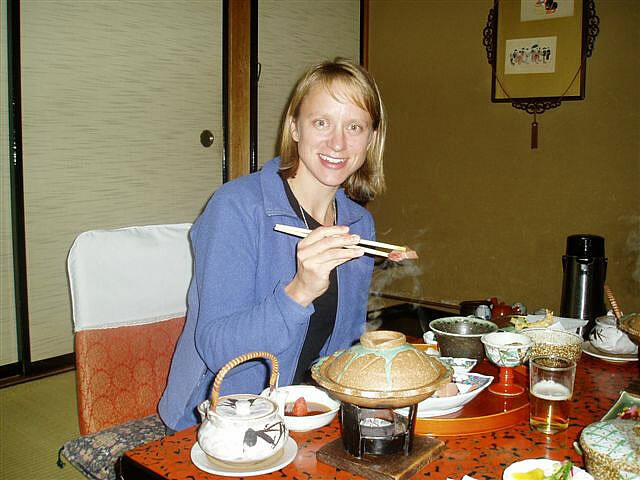 All the people in the ryokan are very friendly, nice (especially with our kids) and so happy to help you. It is a truly great way to discover the Japanese culture. I highly recommended it! I invited friends to discover Japan through ryokans and this one in Takayama is unique It's an alive museum with a so warm atmosphere due to a lovely staff don't miss it ! When I first entered, I havent got a very good impression because although I have booked an eastern room for one, they showed me a very little room with NO WINDOWS, wich I honestly think is unacceptable. I payed a little more and had an amazing room even with a porch.The old house is beautiful on the outside and inside. The staff could not be more kind and always ready to help. The food is wonderful. The whole thing is fashioned for those who want a truly Japanese experience. We were really happy with our stay at Sumiyoshi. 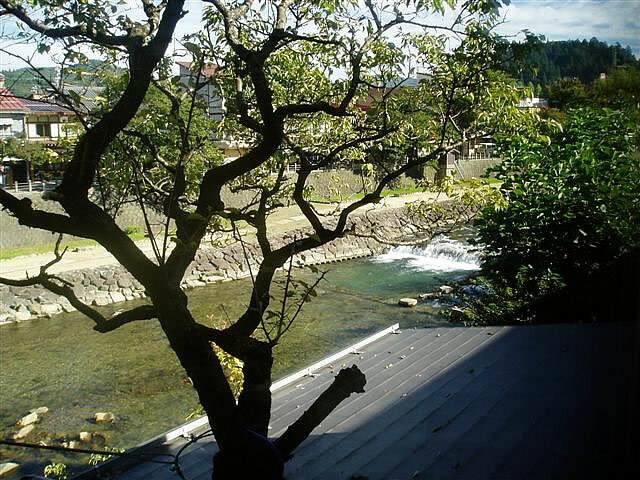 You have to walk a bit from the train station to reach the ryokan but the location is fantastic, overlooking the river and close to many shops and restaurants. 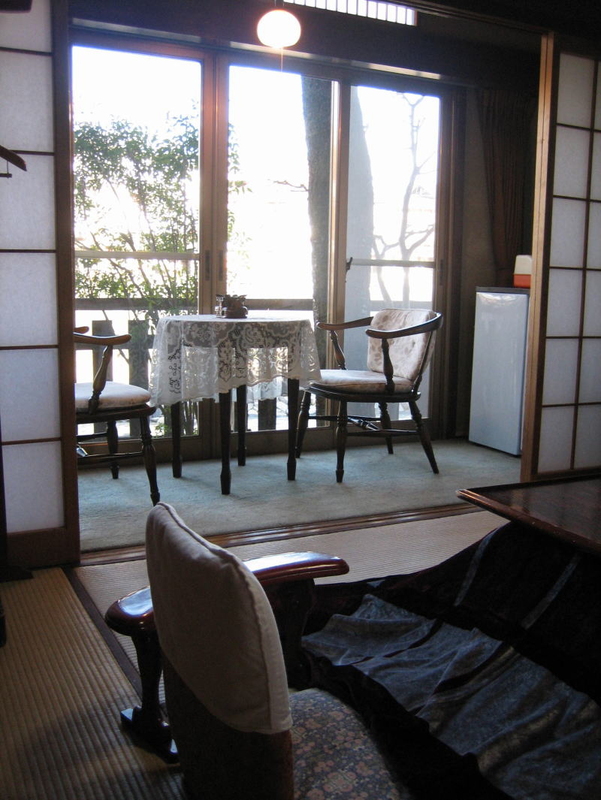 The hosts were very helpful and friendly, the rooms were comfortable and the ryokan is very nicely decorated. We had only one meal there(a breakfast) as we are vegetarians but it was very nice. We loved the common hot bath as well. The toilet was a bit small. 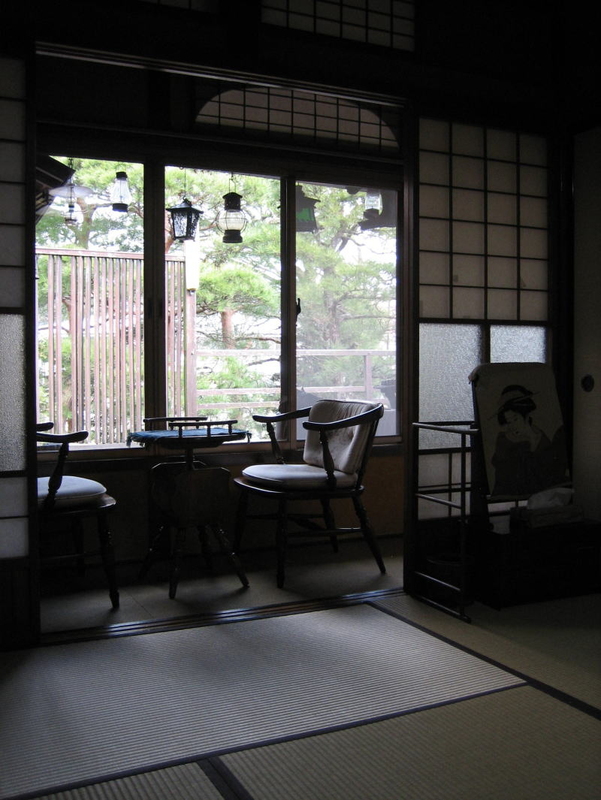 Overall, if you wish to spend some time in a ryokan in Takayama, Sumiyoshi is highly recommended. 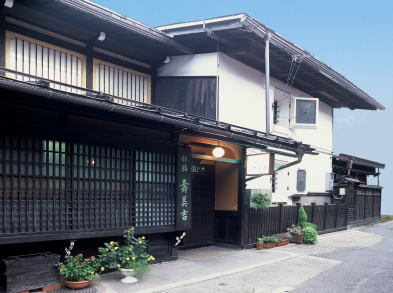 Nestled in a quiet alley, this ryokan offers great service,great food and comfortable rooms. The owners that greeted us were very sweet and the lady that brought us food and make our futons was a hoot! We loved the decorations and the antiques. The shared bath was quite nice as you can lock it and have privacy. We even liked the cat that stays on the veranda1 Highly recommended! Second time and it's was as great as the first time. It's not often that returning to a place can live up to the expectations / memories of your first visit but Sumiyoshi does just that. The warm reception, food, location are all excellent. If you've never tried a Ryokan before this is the perfect place to get you feet wet and submerse yourself in the true Japanese experience. If you can, try to get a room on the river. This house is amazing! there are stairs everywhere...in our room we had hidden stairs behind a door...the kids thought it was really cool! We were a family of 4 so we got a big room (kind of 2 communicating rooms). The old lady that would serve our meals was just too amazing, she could be a character from a book. We fell in love with her...she was showing us how to eat our meal and she was laughing at us...she was sooo funny and warm. The perfect grandma! Takayama is a beautiful destination and we loved the morning markets...just strolling trough the streets...and after a long walk, what is nicer than a foot bath, right on the street!!! (look on the city map) this was great! What a very nice place to stay. The room is good,the food is great, the staff very happy and friendly. 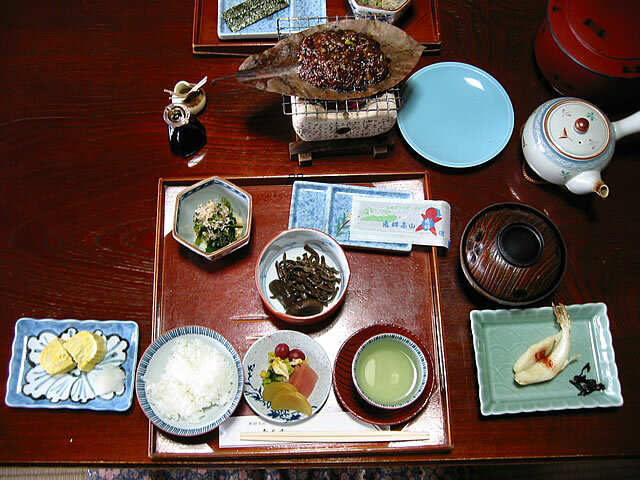 They make your stay in Takayama to a feast. 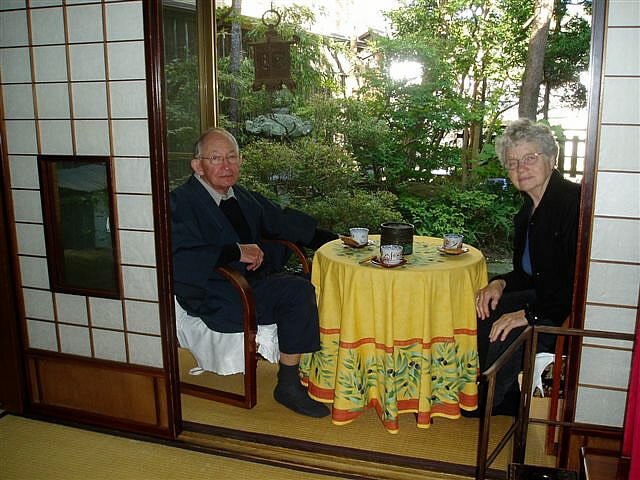 It was clean, the bathroom facilities are good, the house itself packed with beautiful japanese arts and crafts. 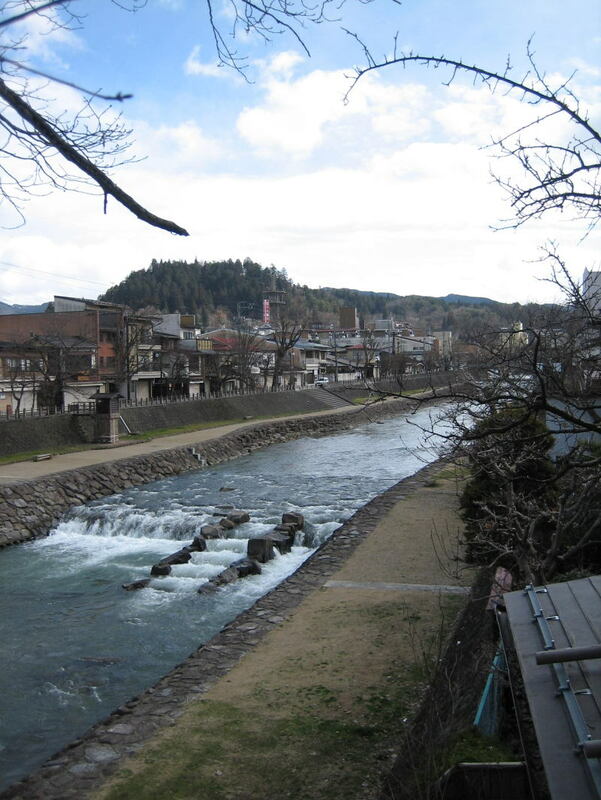 Takayama is like small Kyoto but without the thousends of people, and with a cosmopolitan flair. Notre meilleure expÃ©rience japonaise, tout simplement magnifique. L'acceuil chaleureux, la chambre comfortable, les repas savoureux. je vous le conseille les yeux fermÃ©s. 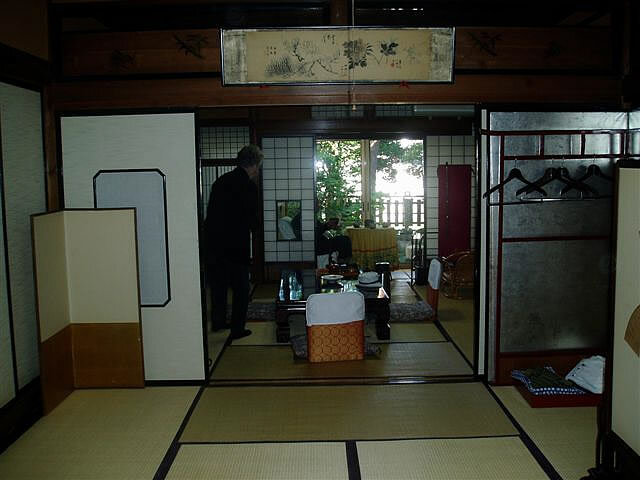 A very tradizional experience in a wonderful Ryokan with very kindly persons. The food is delicious and generous. The location along the river is romantic and quit. Nessuna review potrÃ rendere giustizia a questo posto: location tranquilla lungo il fiume, camere tradizionali molto ampie e comode. Il Ryokan Ã¨ piccolo per cui i bagni in comune non sono un problema e tra gli ospiti nn ci si disturba. Piccolo onsen interno a disposizione. Cibo abbondante e da alta cucina giapponese, unica critica si cena veramente presto e le portate (tantissime) si susseguono un po' troppo velocemente. Un'e Vero Ryokan, altamente consigliato. We had a wonderful 2-night stay at this Ryokan. Excellent location. We traveled through Japan for 2 weeks and our stay at this place was one of our unforgettable experiences. The people were very nice and helpful. We loved the traditional food they served and appreciated that we got to try and enjoy food that we would not have known to order in restaurants. We also enjoyed the traditional bath they had (the bigger one). I highly recommend this place.